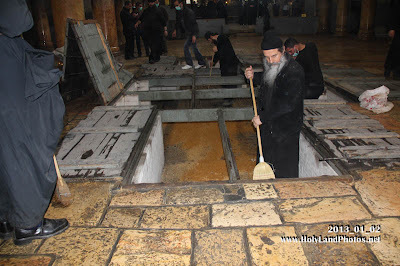 On Wednesday, December 20th/January 2nd, the annual sweeping, or cleaning, of the Basilica of the Nativity in Bethlehem took place, in anticipation of the Christmas celebrations. 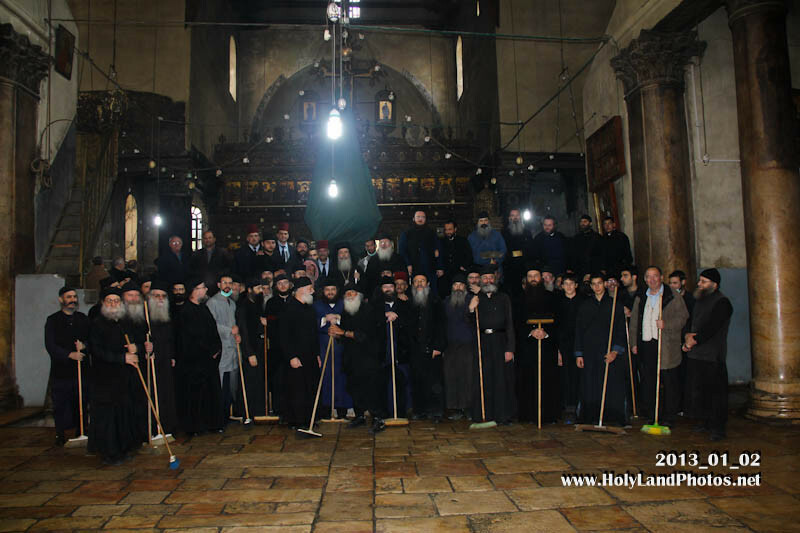 This cleaning is done together by the Orthodox, the Armenians and the Franciscans, among others. 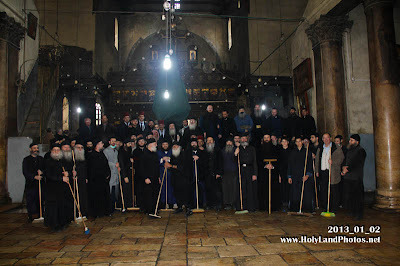 Among the Orthodox participants were monks from the Holy Sepulcher and and the Monastery of Saint Savvas. 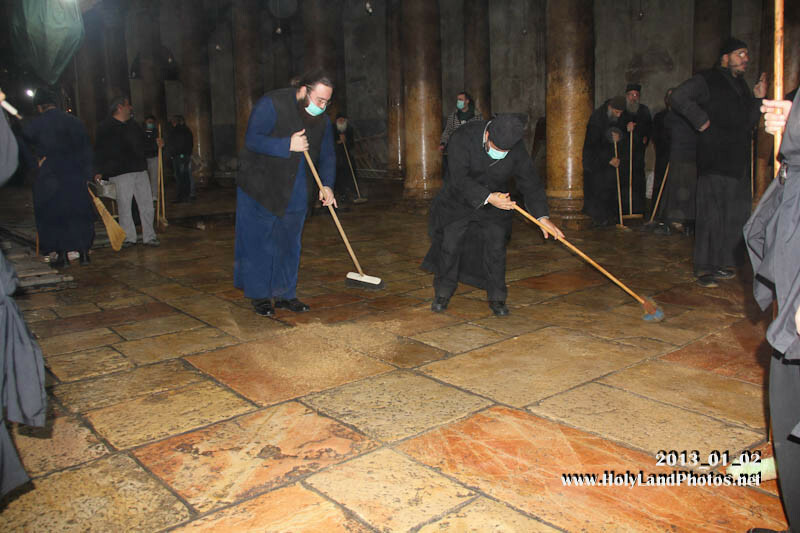 The cleaning is done according to arrangements made during Ottoman times as well as recent bilateral and trilateral agreements. 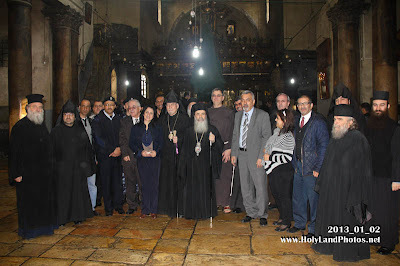 The sweep concluded with coffee in the Franciscan and Armenian areas and fasting foods in the headquarters of the abbot of the Orthodox.